Our clubs are made in America with woods sourced from sustainable forests within the United States. We provide Indian Clubs and Meels in a variety of types and sizes, ensuring plenty of choices for your fitness regimen, as well as adding a beautifully crafted accent to your training space. You don't need a gym! 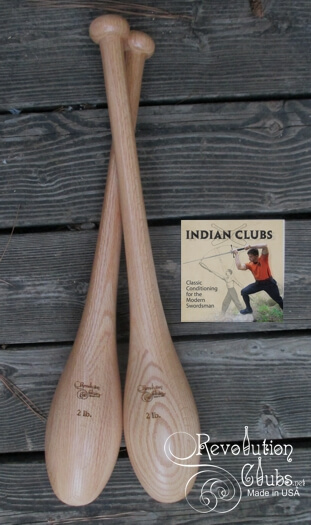 Indian Clubs can go with you wherever you train!